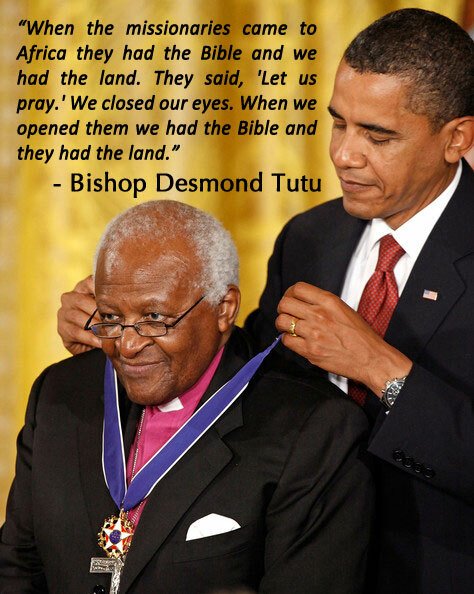 See the gallery for quotes by Desmond Tutu. You can to use those 8 images of quotes as a desktop wallpapers. Before Nelson Mandela was arrested in 1962, he was an angry, relatively young man. 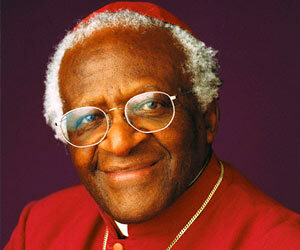 He founded the ANC's military wing. When he was released, he surprised everyone because he was talking about reconciliation and forgiveness and not about revenge. Many people would be surprised that, in fact, I'm quite shy. 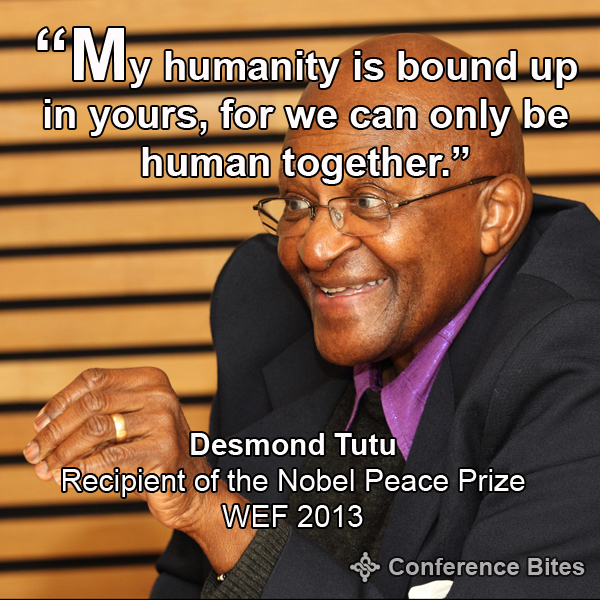 In many ways, when you're a Nobel peace laureate, you have an obligation to humankind, to society. 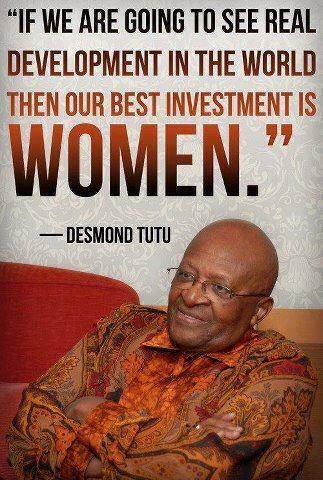 It's a blessing that South Africa has a man like Nelson Mandela. God is patient with us to become the God's children he wants us to be but you really can see him weeping. 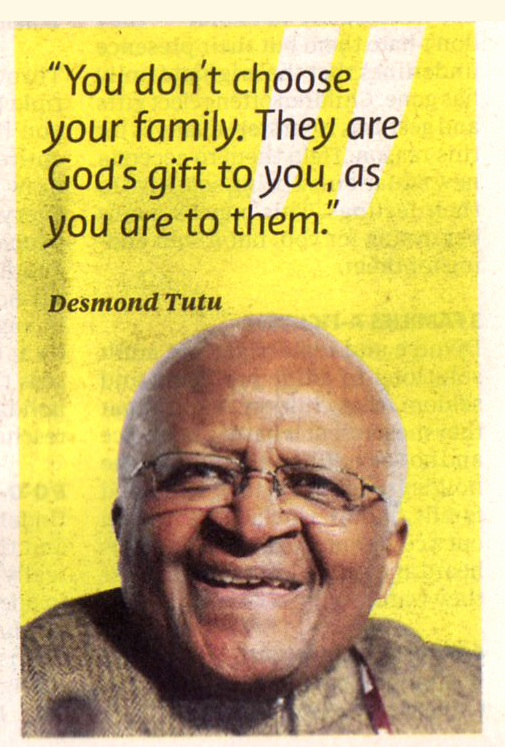 Much more quotes by Desmond Tutu below the page. 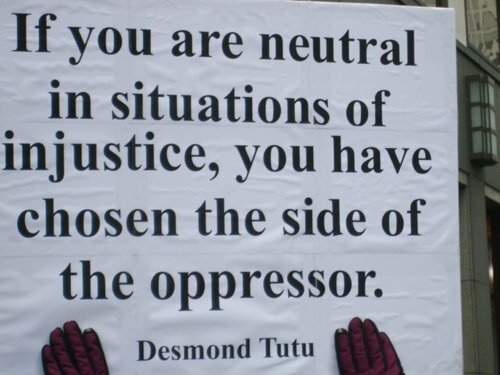 I've never doubted that apartheid - because it was of itself fundamentally, intrinsically evil - was going to bite the dust eventually. Oh, 1994, April 27. There won't be a day like that ever again. I mean, the sky was blue, with a blueness that had never been there before. When you think of the sort of things that happen when a genocide happens, it's again not people who are intrinsically evil. The minute you got the Nobel Peace Prize, things that I said yesterday, with nobody paying too much attention, I say the same things after I got it - oh! 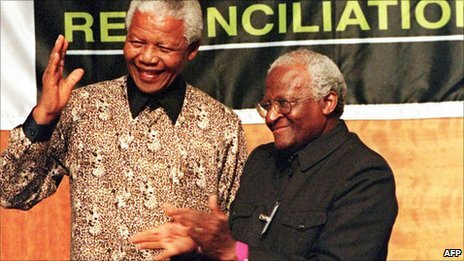 It was quite crucial for people, and it helped our morale because apartheid did look invincible. I wish I could shut up, but I can't, and I won't. Isn't it amazing that we are all made in God's image, and yet there is so much diversity among his people? God is not upset that Gandhi was not a Christian, because God is not a Christian! 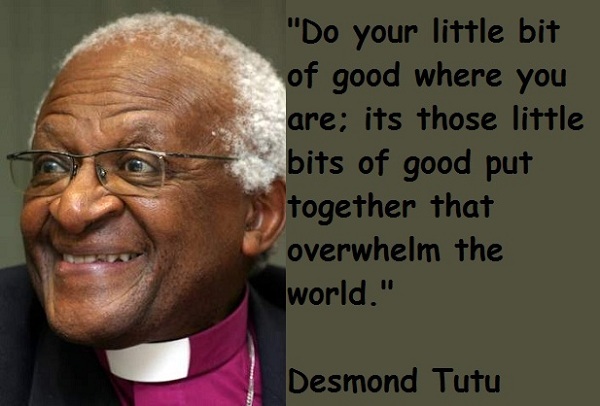 All of God's children and their different faiths help us to realize the immensity of God.